A new exhibition has opened at the South Tipperary Arts Centre in Clonmel, celebrating the 50th anniversary of South Tipperary Art Group (STAG). ‘Faces that you Meet’ is a delightfully diverse exhibition of portraits from members of STAG and other local artists featuring some well-known faces, some not-so-well-known and even a couple of animal faces. The exhibition was opened by the artistic director of the Arts Centre, Cliona Maher, who said she was delighted to celebrate the Arts Centre’s long association with STAG during their 50th anniversary year. She also said that the idea to concentrate on portraits offered the STAG artists an opportunity to show another side to their talents. 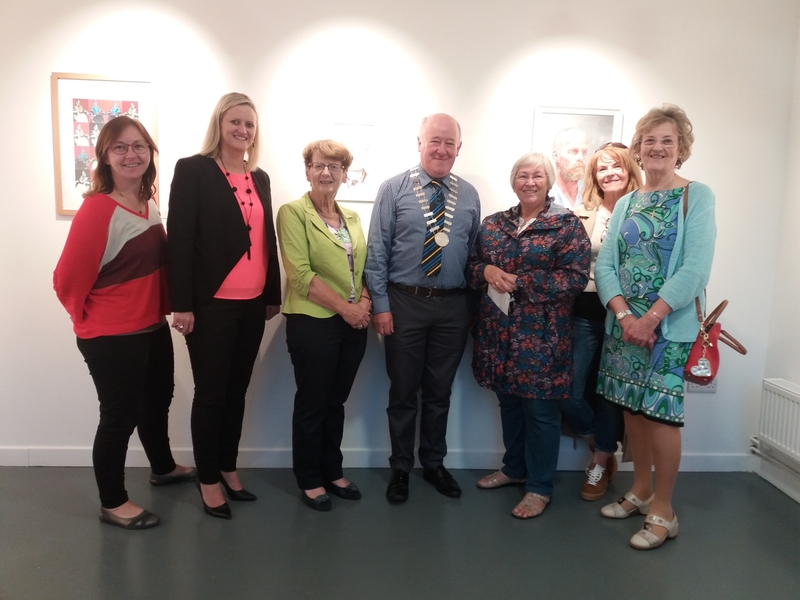 The opening was attended by District Mayor Richie Molloy, Arts Centre board member Siobhan Ambrose and Deputy Mattie McGrath, as well as the artists themselves. ‘Faces that you Meet’ continues until next Saturday September 15 in the Arts Centre, Nelson Street, Clonmel. For more information contact the Arts Centre on 052-612 7877/085-7037909.